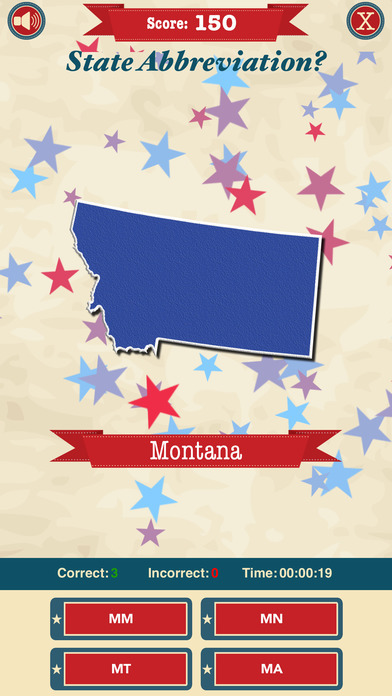 State the States™ is a fun and simple way for anyone to learn the 50 United States and their Capitals. Do you have a states quiz or capitals quiz you need to study for? The easy to use interface of State the States makes it perfect for kids and adults to learn and memorize all 50 states and capitals. Explore the zoom enabled map to learn where states are located or simply select a state or capital from the menu to highlight it on the interactive map of the United States. 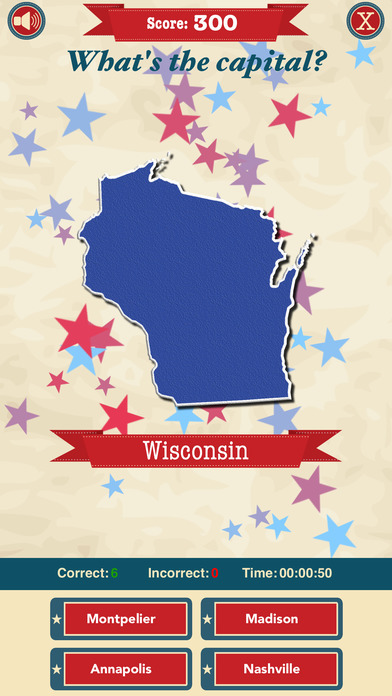 As you select a state, you can also see the state flags, state nickname and statehood date. • Stack up points as you test your knowledge of the states & capitals and earn medals! 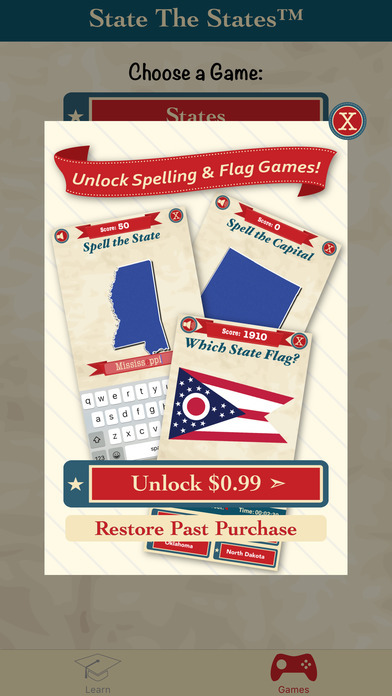 • State the States Education Edition includes a State Spelling Game & Capital Spelling Game. • Hear the spoken state name or spoken capital name then try to spell it. 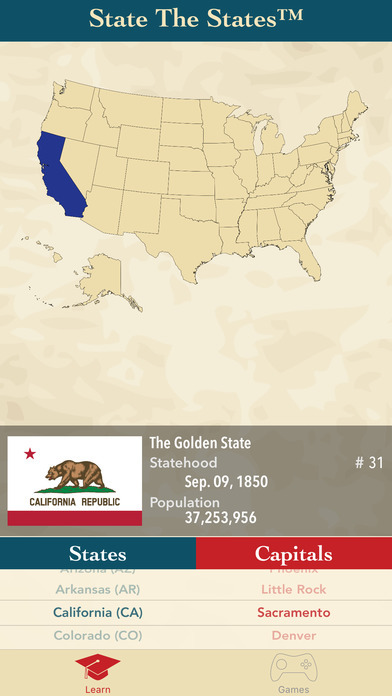 • State the States will help you with the spelling by highlighting incorrect letters. 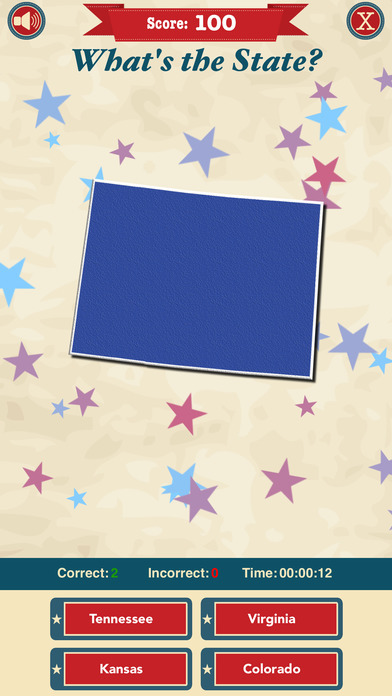 • State the States Education Edition includes a State Flags Game. Now you can share State the States with your entire class using the tvOS version for Apple TV! See each state on the big screen with the auto zooming map of the United States. Play the States and Capitals games as a class too! If you’re looking for an easy, fun & free way to study and learn the 50 United States of America, their Capitals and state flag, State the States is the app for you! copyright 2016 ecom enterprises inc.